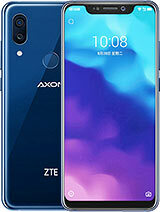 alaTest has collected and analyzed 50 reviews of ZTE Blade V9. The average rating for this product is 4.3/5, compared to an average rating of 4.1/5 for other Cell phones for all reviews. People really like the screen and usability. The camera and performance also get good feedback. We analyzed user and expert ratings, product age and more factors. Compared to other Cell phones the ZTE Blade V9 is awarded an overall alaScore™ of 91/100 = Excellent quality. At an event held in Barcelona during the MWC, ZTE presented its new mid-range, the Blade V9. The smartphone impressed us early on, and now we've had the chance to go a bit deeper in our full review. ZTE has been a leader in low-cost but still well-made Android phones. It's hoping to continue that approach with the just-announced Blade V9 and V9 Vita. Schickes Design mit Disco-Rückseite, 18:9-Display und Dual-Kamera – für 270 Euro! Die Details zum ZTE Blade V9 klingen vielversprechend. Doch wie gut ist das Handy wirklich? Der Test! Das ZTE Blade V9 im ausführlichen Testbericht. Mode nuit décevant ? ZTE promet que son Blade V9 fera les meilleures photos en faible luminosité – mais cela ne nous avait pas tout à fait convaincus. Dans ce test, nous verrons entre autres si cette affirmation est vraie ou non.